Put all of your company's safety tools at your employees' fingertips. Emergency contacts, site-specific safety policies, tool box talks and more are housed in an easy-to-use mobile app for quick access and more efficient compliance. Administrators can easily manage safety programs through SafetyPointe's web-based dashboard. Send safety alerts with the group messaging function. 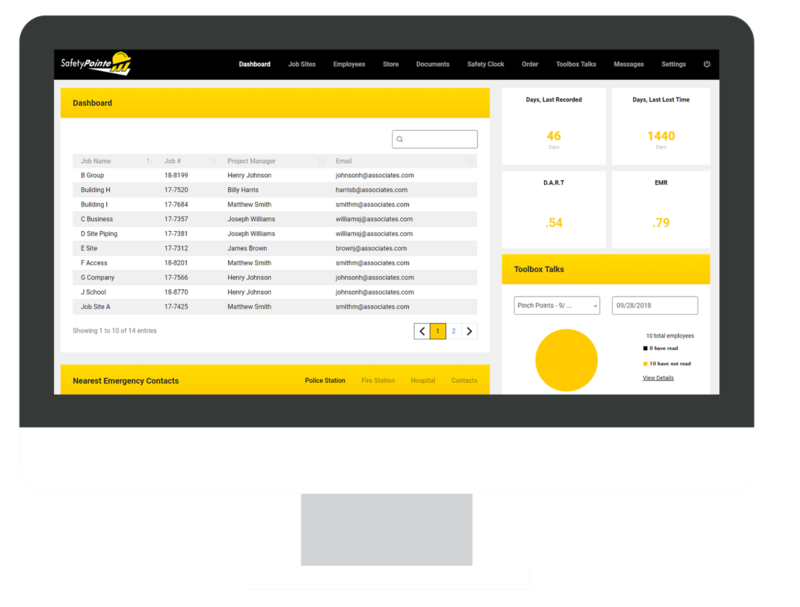 Track compliance with critical safety initiatives, manage site-specific requirements, distribute tool box talks, customize your dashboard and more.